How are things looking for the New York Trip? My Husband is exhibiting at Book Expo America 2011. I am wondering how things are looking for him. Negotiate with care. Keep things simple to help communication. Show respect, be patient & cheerful. Message may need to be repeated many times. You have good vibes & people are drawn to you. Be careful not to get angry, stay calm & be organized. Have a destination in mind & take the necessary steps to make it happen. No shortcuts! Ask for advice from experts but be sincere & respectful when you do so. 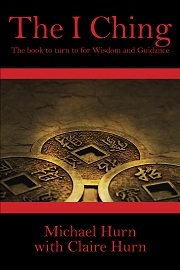 Things look favourable for a positive outcome if I Ching’s advice is carefully followed. This entry was posted in Shared Questions, Spouse / Partner. Bookmark the permalink. Submit new posts and Share questions. How’s my husband’s future looking for work/career? hmesker on How’s my husband’s future looking for work/career? elisawitch on How are things looking for my Husband’s business trip? claire on What’s going to happen to my daughter? claire on What is the best job for me? claire on Will my son be well balanced?